Discussion in 'Arts & Banner Showcase' started by Iscariot, Apr 14, 2019 at 7:19 PM. Ahoy! 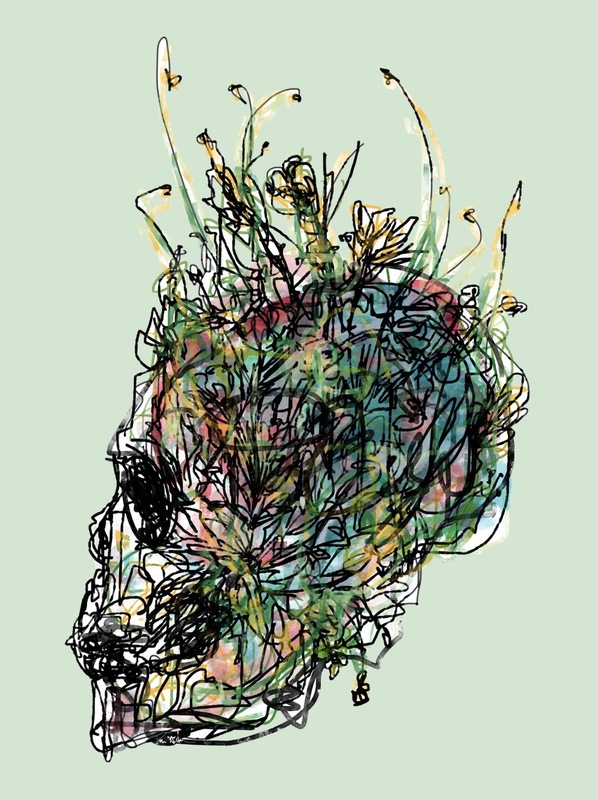 I did a little illustration, it's a skull made of flowers - hope you enjoy! If you have any questions, feel free to ask below or PM me. Vocaloiid, StephenTries, Sophie_OGrady and 1 other person like this. The photoshop that you drew looks absolutely fantastic! I love that you put some of the colorings on the skull, but I have one suggestion that I want to add. I would like to see you add a background to your drawing because it will look epic! Overall, I do not have any complaints from me, and it looks marvelous! Aaaa you're so talented! I've seen you posting your art through the mineplex discord so I've already seen your style and I love it so much. The concept of it is really cool too, keep up the amazing work I'd love to see more from you. Wow! It actually looks like it was made with watercolor. Nice photoshop! I couldn't draw anything this nice! Background changed to a darker pastel green! Thank you so much Phamtastic, much appreciated as always :) And of course, I love making artwork! I really like this! I love the colours you’ve got going on. It’s not vibrant colours you’ve used but you’ve still made the same effect if that makes any sense at all looool. They all blend in with each other but you can still make out every tiny detail. I like your style! It’s like a sketch drawing but made to look beautiful. Well done! Keep it up! This is awesome! I love seeing cool drawings and this is definitely a cool drawing. I like the background it has a calm feel for a skull drawing and it really shows contrast of a skull being an evil object and the background colour being a peaceful colour. I really like this! Great work! Hii! I really love how this looks! I especially like how even though it might look hectic from afar, you can still look really closely and see specific lines and flowers, etc, which gives it such an amazing effect. Also, I really like the colors you chose to use. The different colors in the flowers and the shade of green that you chose for the background really compliment one another, and it just looks really nice overall! To be honest, it looks so cool, and I can't wait to see any more art you might post here in the future! Hello! Cheers Animalll, much appreciated! I enjoy drawing skulls and flowers the most, and I took a green similar to one in the stems at the top of the skull for the background. It also happens to be my favorite color :) Thank you again, it's pretty sweet to know this is enjoyable to look at and especially interpret! Hey Stephen! Yes that makes complete sense - I did a very neutral palette but The brushes I use were designed to look like watercolor/art brushes, so their natural opacity shifts and flickering makes blending very fun! And thank you, it took me nearly four years of since I first tried Photoshop to find a style and now I use these brushes (I hand-made them!) for every illustration. It used 2 brushes, : 1) an art pressure brush which is every black line you see (it changes opacity, size and pressure) and 2) a watercolor strokes brush that imitates that media in the same way the art brush does for real pens. Again, thank you all so much I'll be sharing more art in the future! Looks amazing banksy! I always enjoy how you do art that can be a different representation to each and every person. To me it seems like the symbol of new life from death, not as a heaven sort of thing, but from the generation who live on after their guardian's death. I also really enjoy the colors you used around here. Keep doing great things! Iscariot and Jaekub like this.